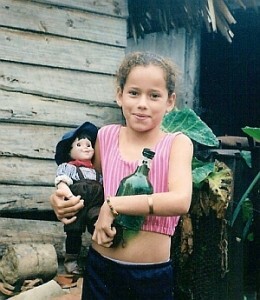 Below are links to some articles I’ve written, inspired by Cuba, its people, and people elsewhere who are connected to Cuba. EACH TIME WRITER Mylene Fernández Pintado has a new novel or short story collection published, she performs an unusual book-release ritual. 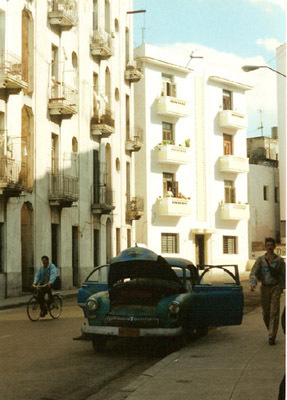 New book in hand, she heads for Havana’s Terminal Víazul where she boards a two-and-a-half hour bus to the rural western town of Pinar del Río. The bus is usually crowded with eager, talkative tourists enroute to Cuba’s eco-paradise of Viñales, but Fernández keeps to herself, staring out the window at the oxen-plowed tobacco fields and spindly royal palms, the faded clapboard farmhouses and verdant Cordillera de Guaniguanico range. When her bus stops at Pinar del Río’s terminal, Fernández walks down the main street, block after block until, at its end, she reaches her destination: El Cementerio Católico. At its entrance, she purchases flowers, and then meanders through the maze of tombstones until she finds herself in front of her mother’s grave. Here Fernández lays down her new book, which is always dedicated to her mother. “And then I cry,” she says. I bawl like a little child. When I calm down, I speak to her. I tell her how I’ve been, how much I miss her, and then I inscribe the first page of my book to her. I know that after I leave, maybe it rains and gets wet or maybe somebody steals it, but I always imagine that, in some way, my mother reads it. She was all my support for studying, for writing, and I want her to know it wasn’t in vain. Fernández’s cemetery ceremony could be seen as not just a homage to her mother, but to all those who’ve influenced her writing, so many of whom she’s lost: her father, to whom her books are also dedicated, died in 2007, five years after her mother; and Fernández’s only sibling and most of her other relatives moved to Miami years before. But more than a guardian of graves or of the family’s home where she still lives in Havana, Fernández might most fittingly be described as a literary guardian of Cuba, a collector of her island’s own stories of loss and longing and, also, of love. Keep reading The Melancholy Muse at the LA Review of Books. WHEN I ATTENDED THE CUBAN PREMIERE of Lucy Mulloy’s much-touted debut film Una Noche last December, a riot nearly broke out in the streets of Havana. One week into the Festival of New Latin American Film, the buzz surrounding Una Noche — a fictional story of three teens attempting to flee Cuba by raft — had built to such a fever pitch that two thousand people had gathered outside the Riviera, a theater seating only one thousand. A half-hour after the scheduled show time, when the line still hadn’t moved and a rumor that all seats had been reserved for dignitaries wound its way through the increasingly agitated crowd, the pushing began in earnest — paunchy young men heaved their bodies against fellow film-goers while older women sucked in their stomachs and hoisted their handbags over their heads in an attempt to slip through some invisible opening. Finally, the police were called in. They extended their arms to create a sort of human tunnel, and reached out their hands to pull people through, offering safe passage one person at a time. In total, including lining-up, pushing-in, viewing, director comments, and pushing-out time, it took almost four hours to see a 90-minute film. As evidenced by its abundance of awards — Best New Director, Best Actor, and Best Cinematography at the Tribeca Film Festival; Best Script at the Athens and Brasilia International Film Festivals; and Special Jury Prize at the International Film Festival of India — Una Noche is a film that succeeds on multiple levels. It is an intimate look at the complexities and contradictions of everyday Cuban life as narrated by Lila, whose twin brother Elio has agreed, after much hesitation, to rig a raft to leave Cuba with his friend (and secret love interest) Raúl. 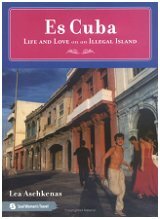 Mulloy skillfully covers an astonishing array of tough topics — from tourist privilege, infidelity, and prostitution to gay and transgender issues to disease and desperation, along with, surprisingly enough, hope and humor and sibling love, all set against the hauntingly beautiful backdrop of Havana. With its tightly cropped scenes, its nearly pitch-perfect dialogue delivered by a cast of extremely professional non-professional actors, and its stunt-like camerawork reminiscent of the opening shots of Slumdog Millionaire, Una Noche is a mesmerizing meditation on the dangerous distances people will travel in pursuit of a new life — and a new love. 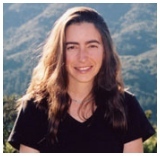 Keep reading Stranger than Fiction at the Los Angeles Review of Books. A message-in-a-bottle washes ashore in a supposed enemy land—and builds a bridge of friendship. This story starts on a Friday night just before sunset somewhere in the middle of the Caribbean. The year is 2003, the month February, and Sausalito, California-based sailor Rick Hastie is alone at the helm of the First Home, a 54-foot sailboat headed for the Virgin Islands. Rick and his two crewmates have recently cleared the Panama Canal, and in this moment, Rick is steering north toward Jamaica to escape some heavy weather blowing in from the east. He is feeling the solitude of the sea, feeling very far from everyone and everything, and all this makes him remember a promise he’d made to a bartender buddy back home the night before setting sail. Rick puts the boat on automatic pilot, and he leaves the helm. He heads for the cabin where he retrieves a $43 bottle of Bunnahabhain single malt Scotch whisky—the bartender’s bon voyage present, now polished off. Empty bottle in hand, Rick grabs a piece of paper and a pencil, and he heads back to the helm. What Rick pens in the cockpit is not the profoundest of posts, but it does fulfill his promise to the bartender. Rick writes: “Whoever finds this is entitled to a bottle of free Bunnahabhain Scotch at the Cat ’N Fiddle.” Rick includes his name and address, the name of his vessel, the date, the longitude and latitude. He rolls his message up and slides it down the slender neck of his green Bunnahabhain bottle. He encases his envoy in electrician’s tape, throws it into an enormous aqua-green wave, and then promptly forgets about it. Keep reading Message en una Botella at Perceptive Travel. Oakland native Pablo Menendez came to Cuba from Oakland in 1966 when he was only 14 to study guitar at the Escuela Nacional de Arte (ENA). He planned to stay for just a year but fell in love with the culture and the music and never made it back home. 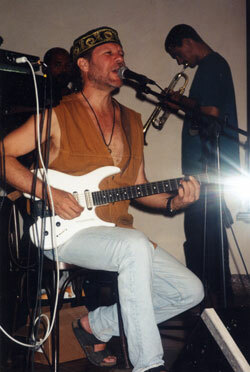 Today, at 47, he’s created a name for himself in the Cuban music scene with his band Mezcla, which he founded in 1985. The word Mezcla (“mix”) describes both the divergent African and Spanish roots of the Cuban culture and the band’s music itself—a blend of rock, reggae, jazz, salsa, son, and merengue. 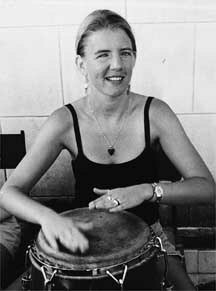 Mezcla has toured Europe and the U.S., stopping off in 1998 for a homecoming performance at Ashkenaz in Berekely. In May, I met up with Menendez in his second-story flat in the seaside Havana neighborhood of Miramar to talk about Cuban music, politics, and solidarity. 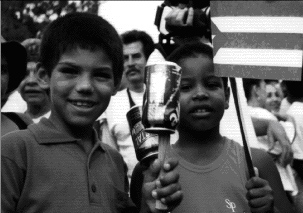 Operation Peter Pan, as it was named by the U.S. government, is the story of 14,000 Cuban children who, between 1960 and 1962, were brought to the United States by Catholic organizations funded by the U.S. State Department. They were helped by oil companies and other U.S. corporations that were kicked out of Cuba following the 1959 revolution, which brought Fidel Castro to power. To encourage Cubans to move to the United States, the Catholics offered to save their children from communism by setting them up with scholarships at U.S. schools and caring for them until their parents could join them.